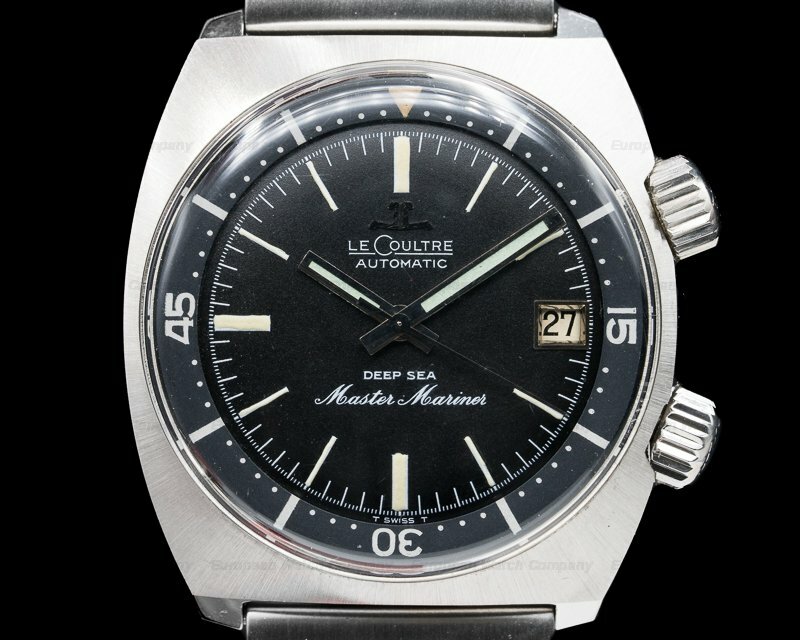 This is a vintage c. 1970 stainless steel Jaeger LeCoultre Shark Deep Sea, E2643. 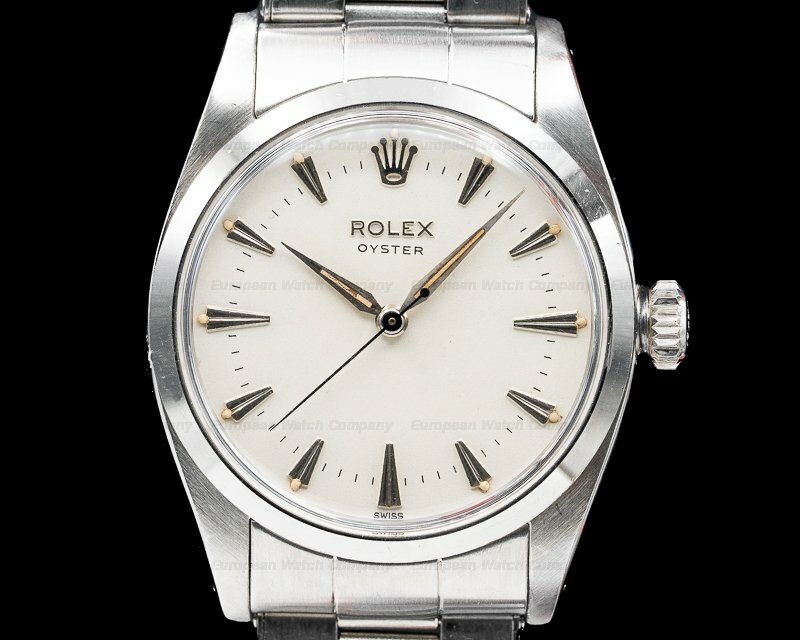 It has a shell cordovan strap with a stainless steel tang buckle, and an acrylic crystal. 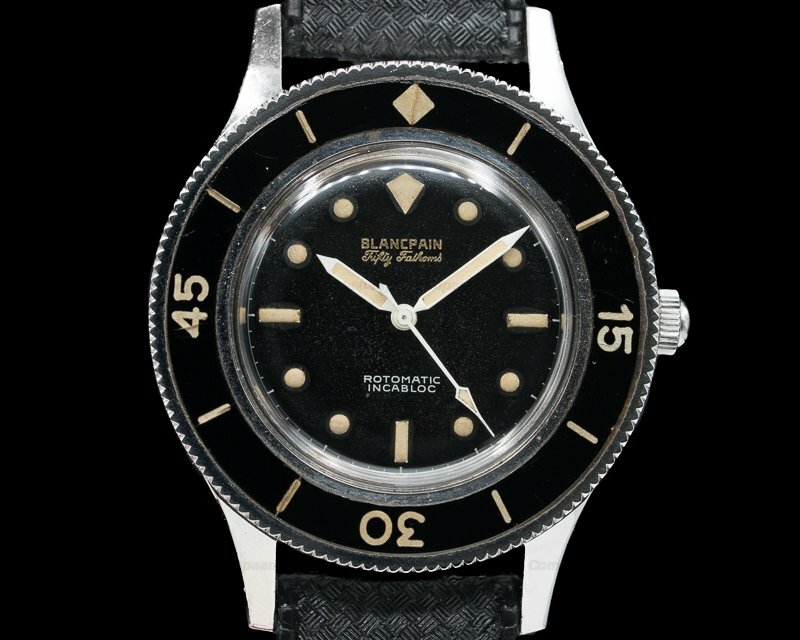 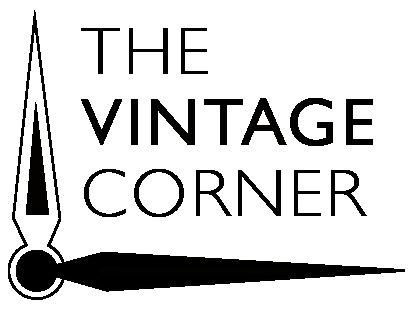 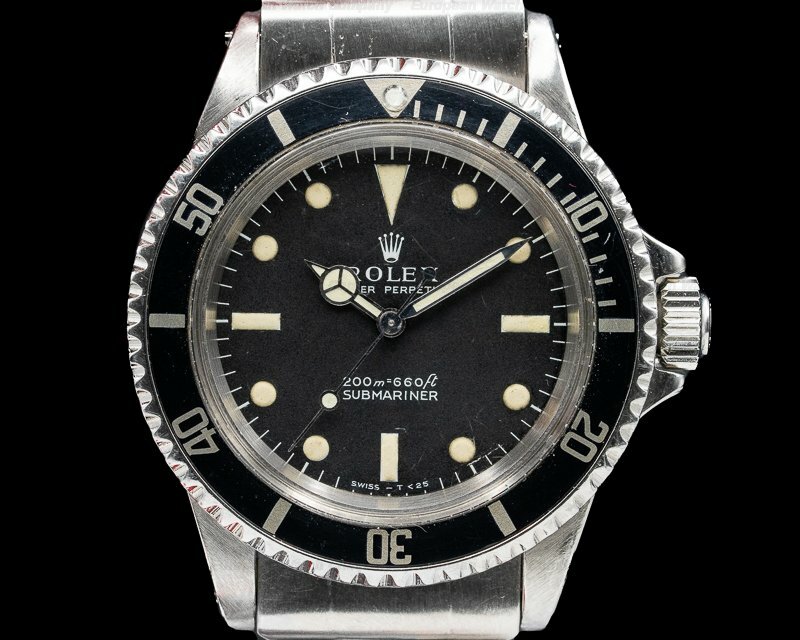 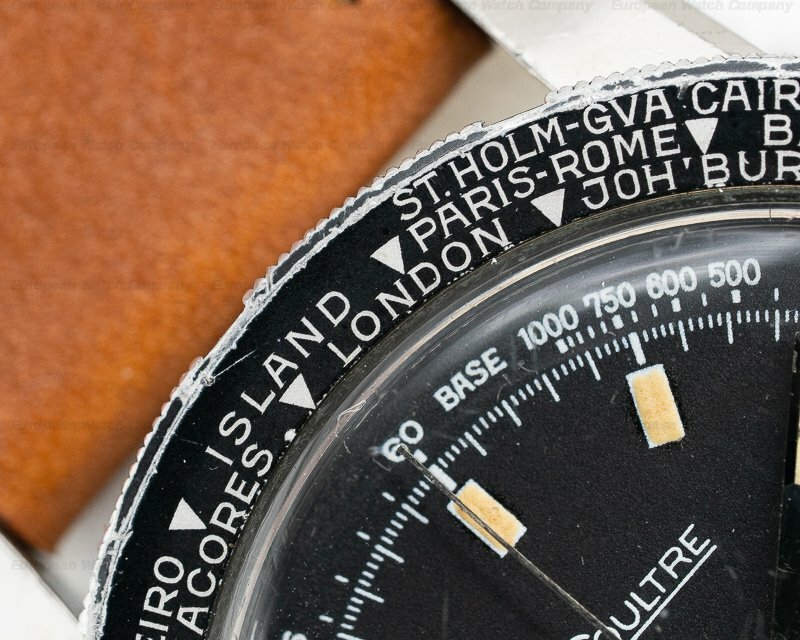 It has a screw-down solid case back, the original crosshatched winding crown, and the distinctive world-time black bidirectional rotating bezel. 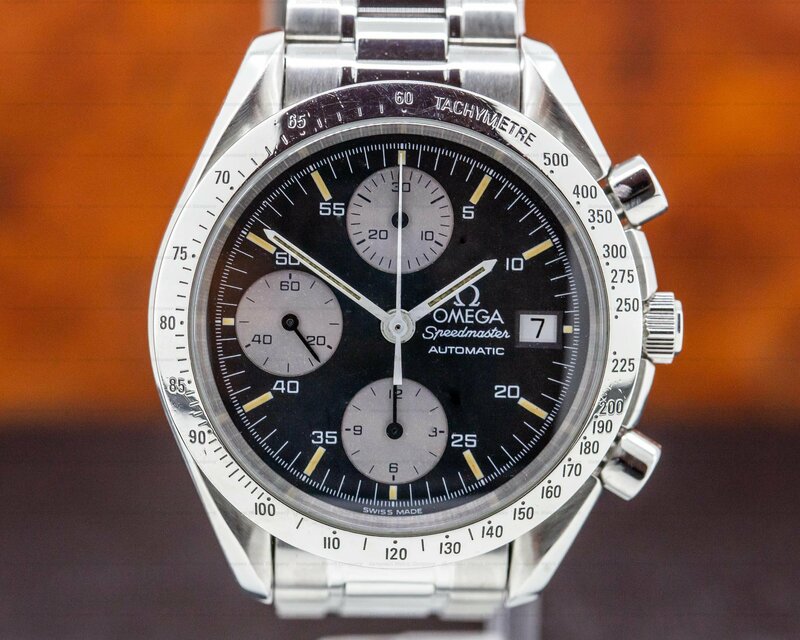 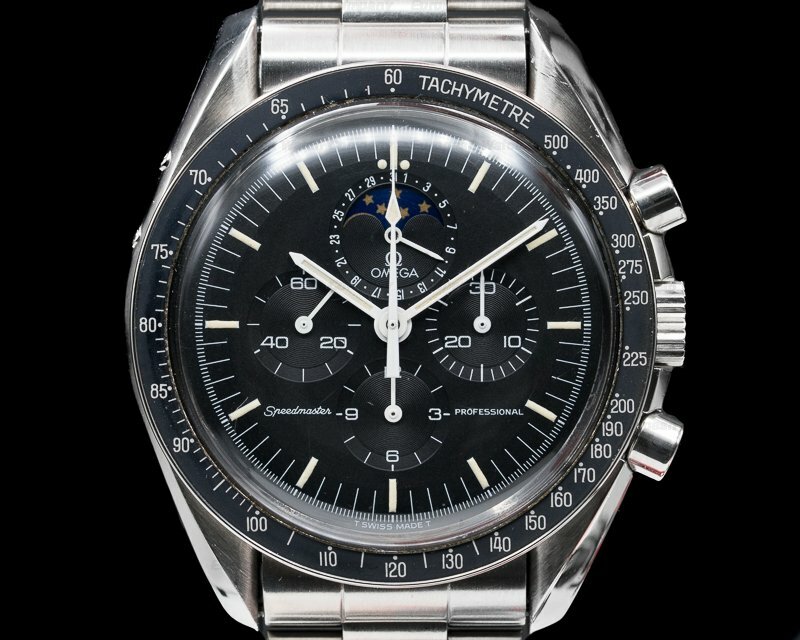 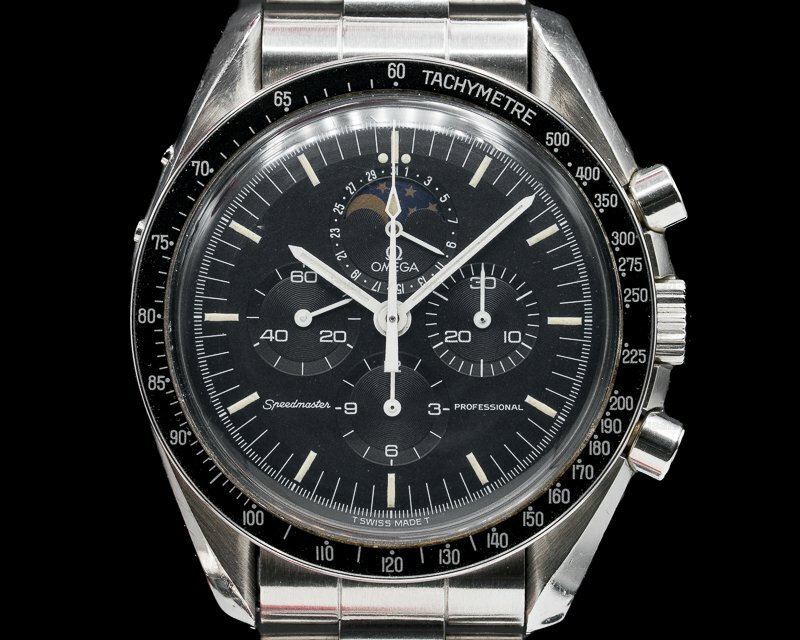 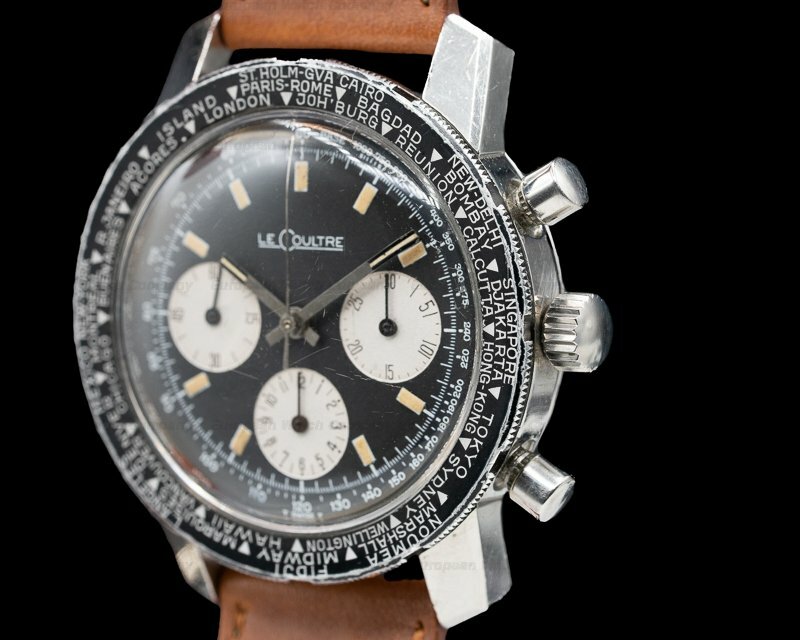 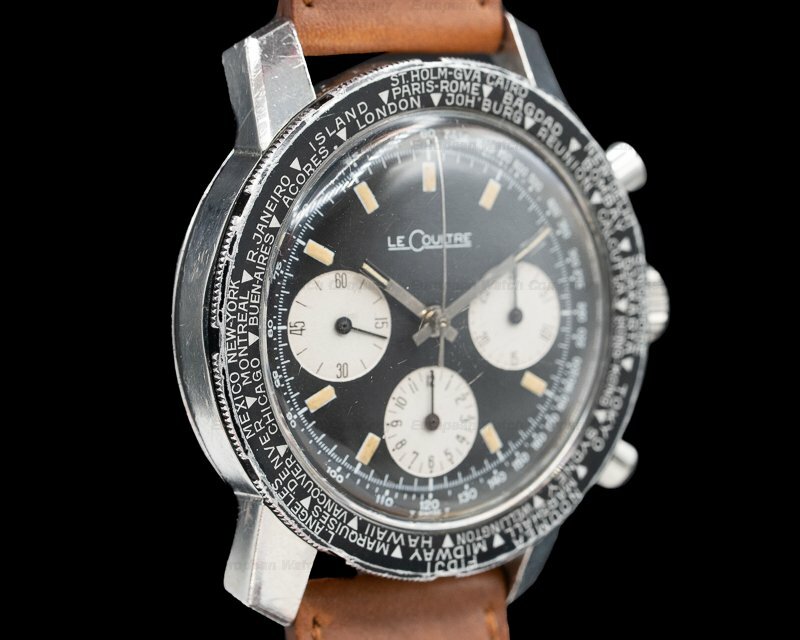 It has round chronograph pushbuttons with a tachymeter ring to 1000 UPH and a black sweep hand. 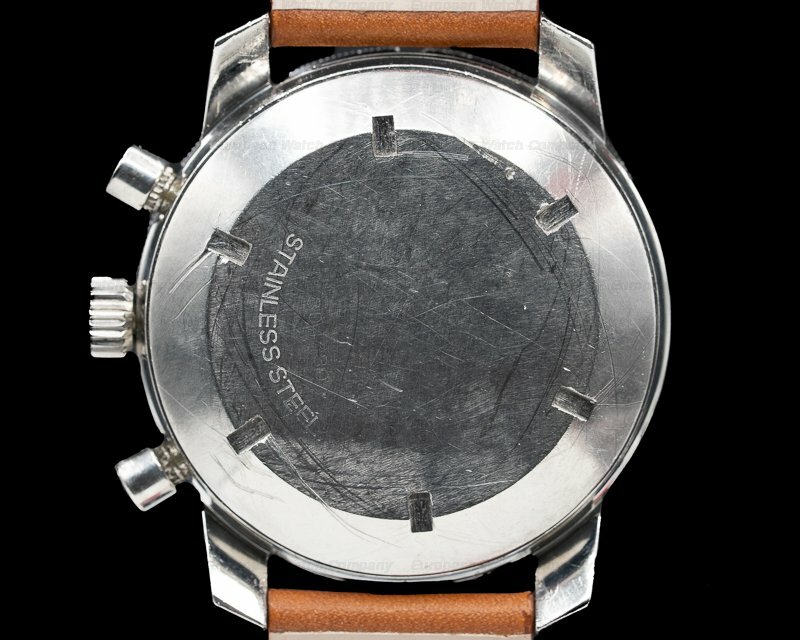 The 40mm diameter solid three-body case, hooded lugs, and case back are polished/brushed. 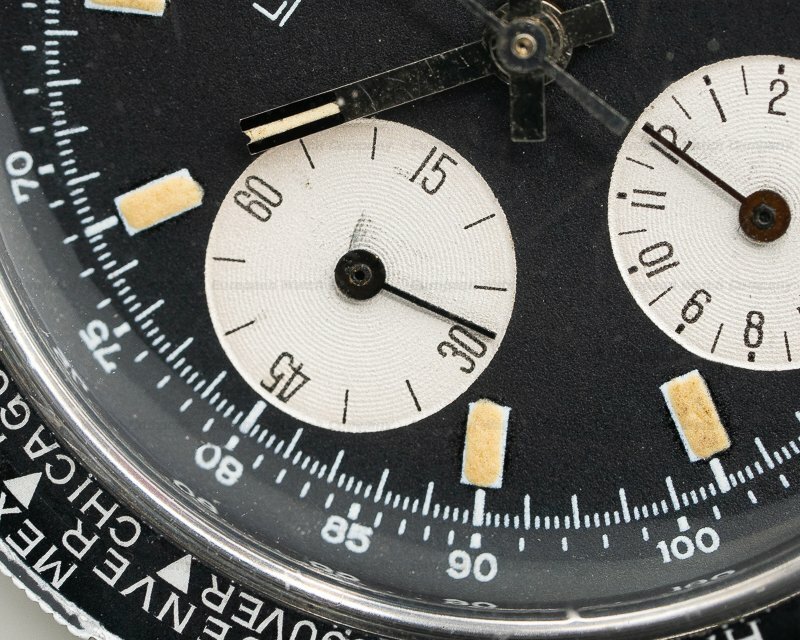 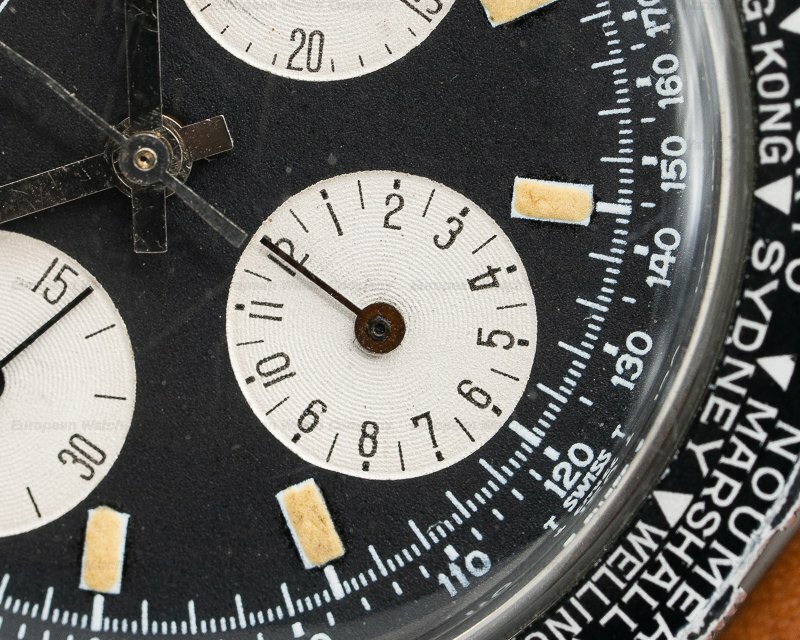 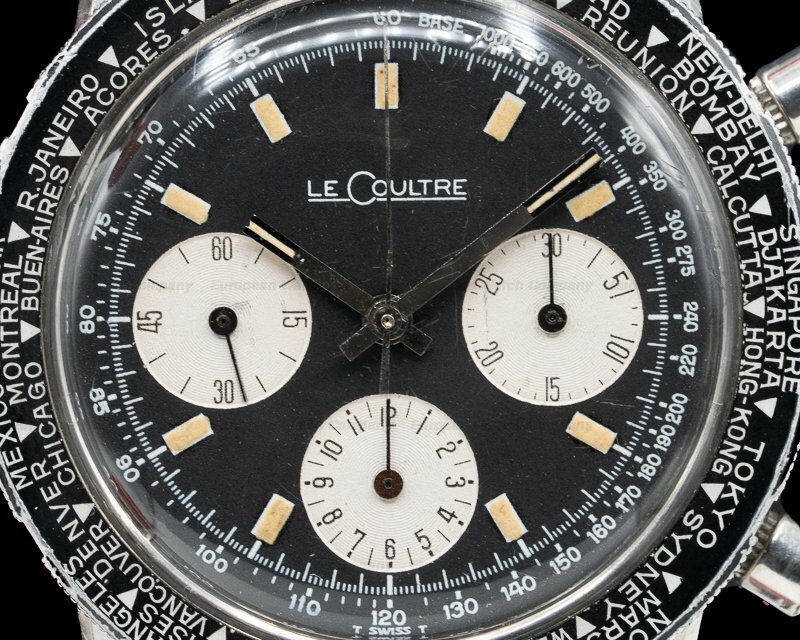 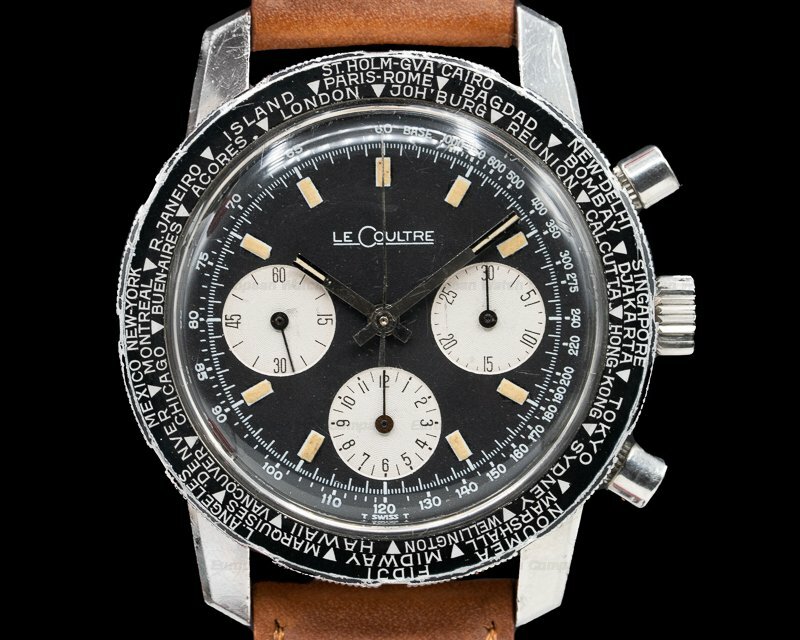 The original black dial with silver subsidiary dials has the "reverse panda" (and 60's Daytona) look, with a constant small seconds register at 9 o'clock, a 30-minute sub dial at 3 o'clock, and a 12-hour register at the 6 o'clock position. 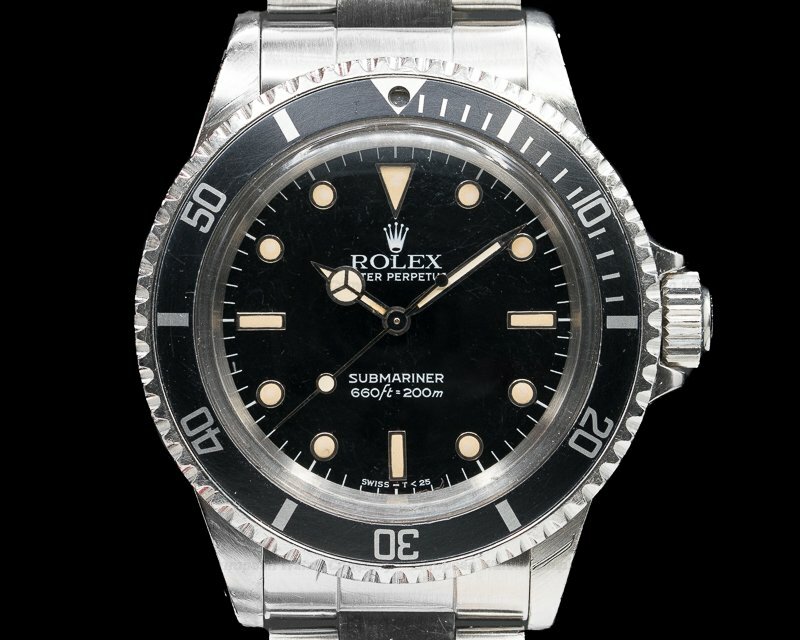 It has luminous steel baton hands, baton hour index markers, and a white outer minute/one-fifth second ring. 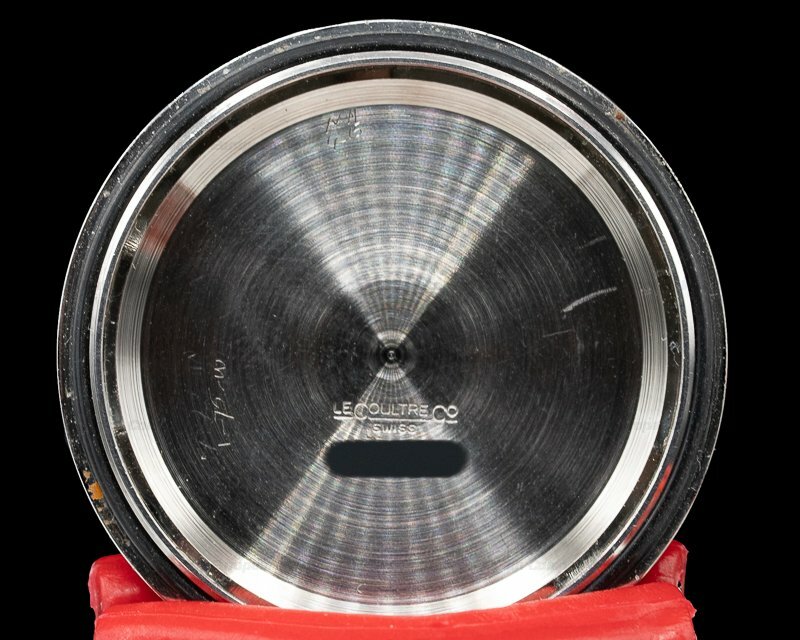 The 15mm thick case, dial, and movement are all signed. 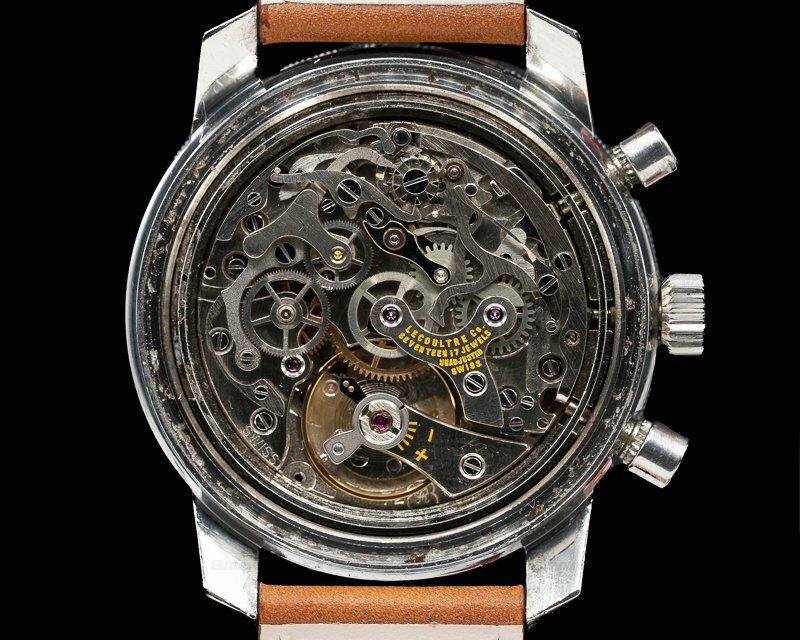 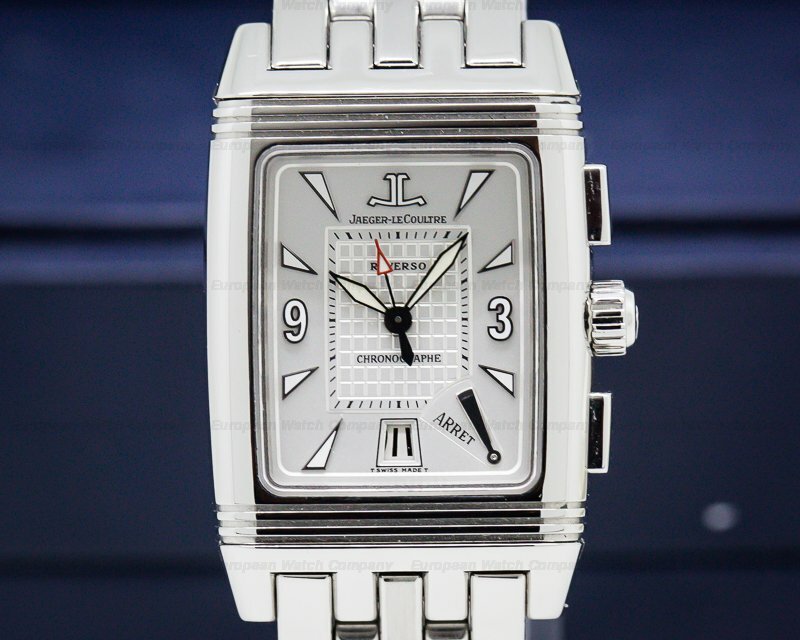 The mechanical manual winding Valjoux caliber 72 movement is rhodium-plated. 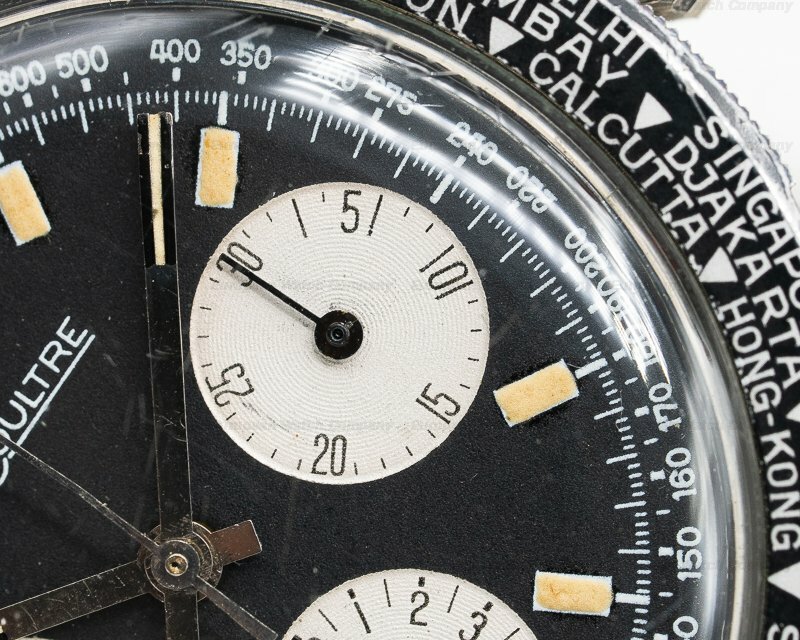 It has a shock absorber mechanism, a straight-line lever escapement, a monometallic balance, and a self-compensating flat balance spring. 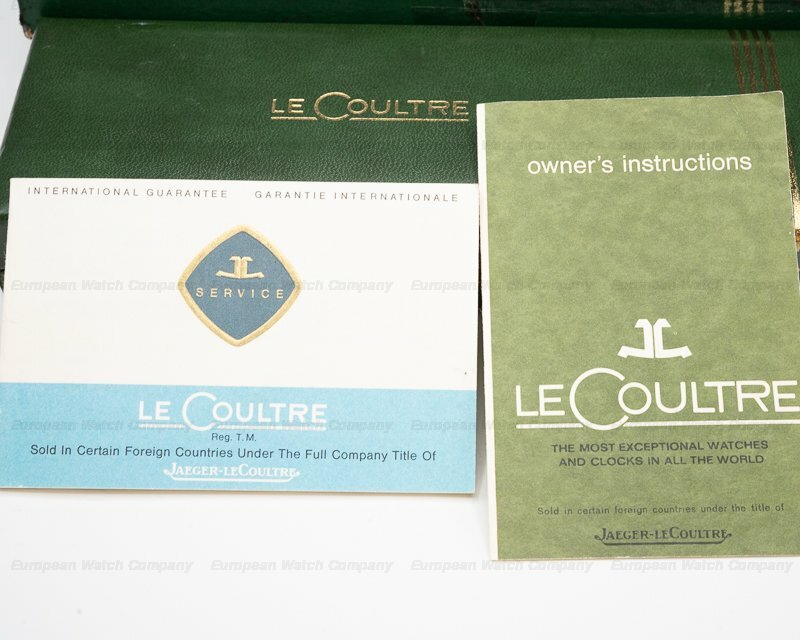 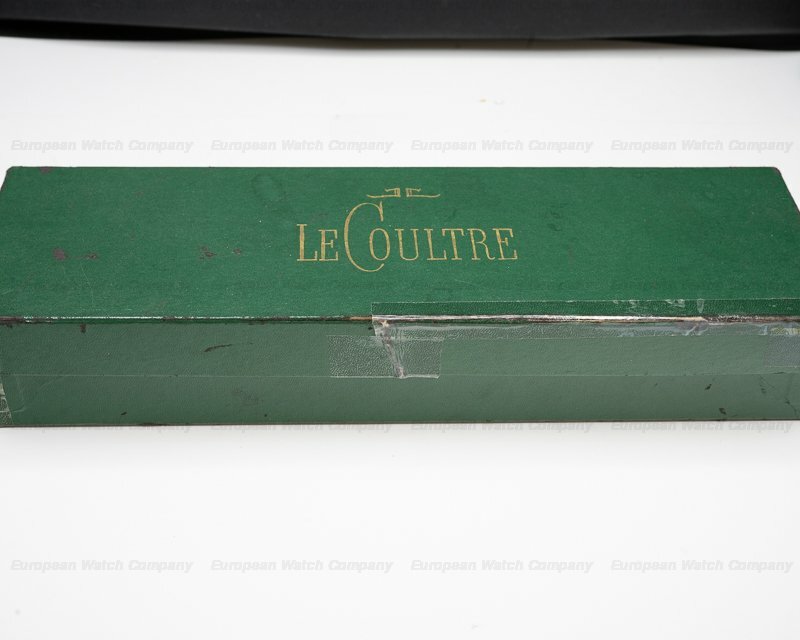 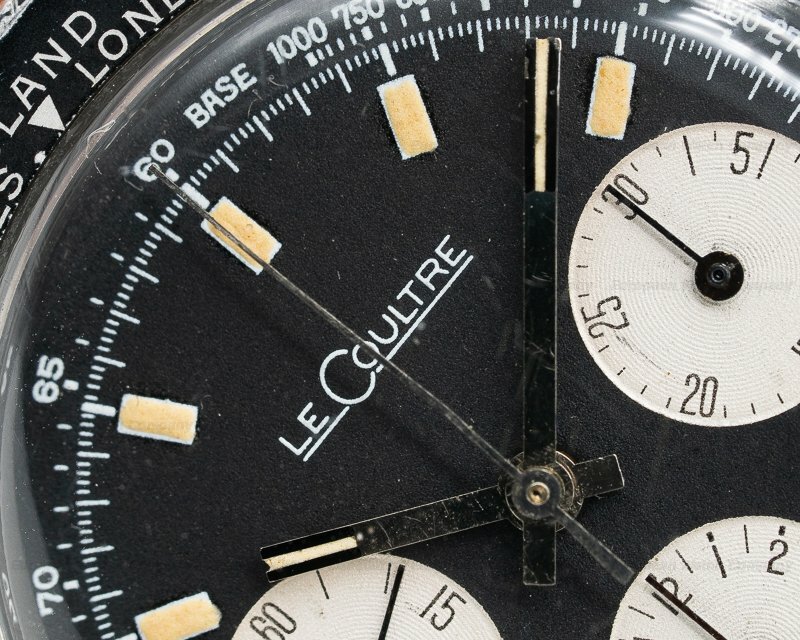 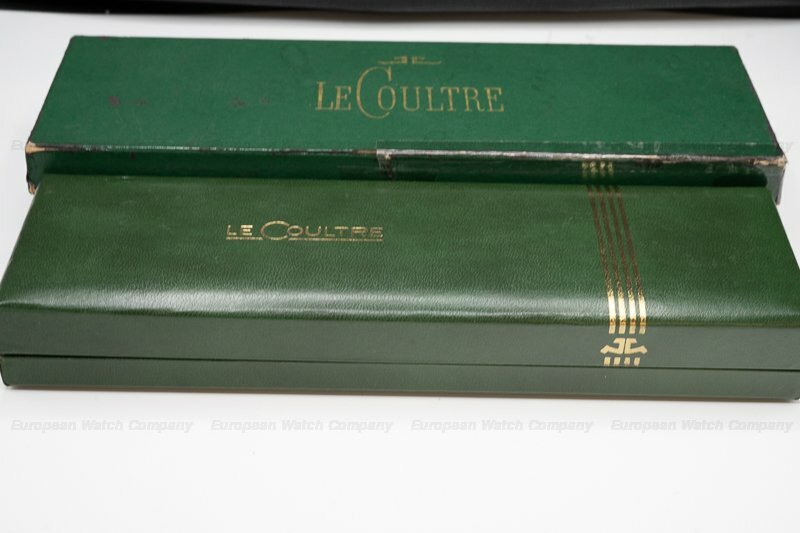 The movement Jaeger LeCoultre Shark Deep Sea, reference E2643, is not marked "JL"; it is the only movement that was not manufactured by Jaeger LeCoultre, but was the Valjoux chronograph workhorse. 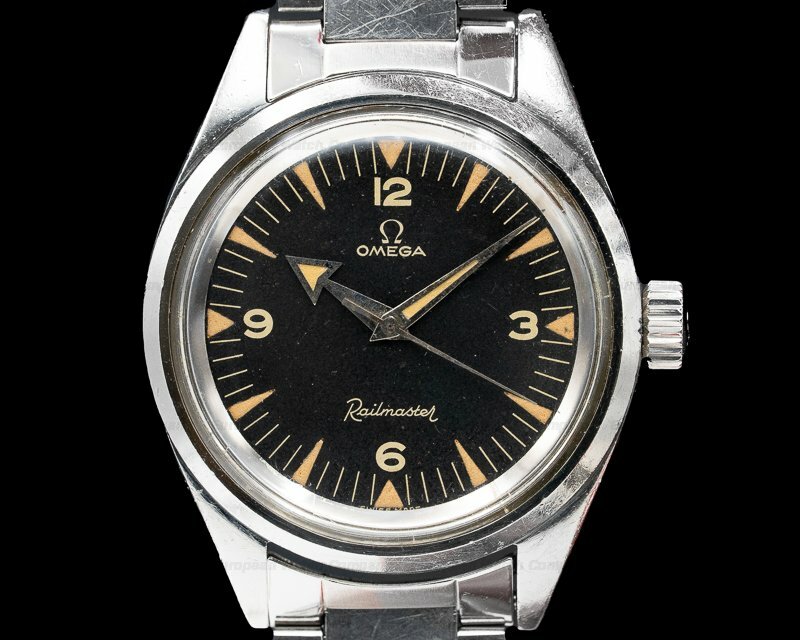 This watch was called "Vogue" in Europe, "Chronographe étanche" in France, and it was the Shark Deep Sea in the United States.